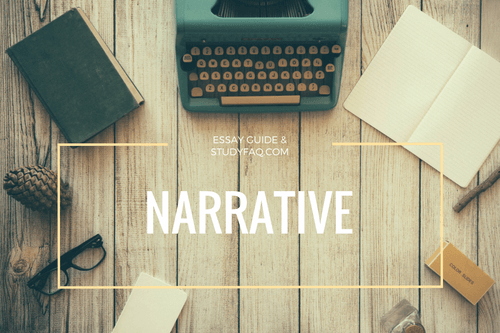 One of the most interesting essays to write is a narrative essay. This type of writing allows you to write freely from your personal experience. It could also be from things you have witnessed others go through. It gives you an opportunity to get to know yourself better because as you write, you get to discover more things about yourself. The narrative essay may demand that as you write, you write with a sense of humour. With that, your readers or listeners will not find it boring. While writing your essay, you may consider Ways to publish your narrative essay to be important. The meaning of a narrative essay. In the most simple words – Any Author who himself describes or writes the story, which is non-fictional and can be directly related to his personal development – can term as a Narrative Essay. It is considered to be one of the finest ways of writings to introduce your consciousness, insight or a new way to see the world gained out of your personal experience. Writing a Narrative Essay opens the doors to the general public and enlightens them to understand you in the better way. It is viewed to be one of the most polished ways to disclose your personal experience concerning your recognition on something that gave you a path to see the world in a different manner. The motive of writing a narrative essay. It is a real story written by any author about his own personal experience, to make others gain a solution, in their distress time, for their betterment. This self-understanding (or awareness) can occur for some of the reasons, which cannot be explained but has transformed the writer’s personality and his vision. While writing a narrative essay, the writer has to write in such a format that will be liked and loved by others. The reader should get entertained with the writer's real life experience – and also learn something from it. The writer should be able to ignite the curiosity factor of the reader and decrease the distance between him and the reader. Provide with the most thrilling experience to the reader with a contended solution! A Narrative Essay should bestow the reader with a spiritual cure. Listening or reading to any person’s narrative who has experienced a severe life catastrophe similar to what the reader is experiencing now, along with the perfect solution - Will solve the final purpose any narrative essay. The differences between other various types of essays, stories or writings. Narrative Essays are directly related to the true life incidences of the author, unlike the fictional writers who can change the climax - As per their wish. The author of the Narrative Essay has to put forth the theory or argument along with a short essay, concerning the true events to support his writings, while short stories never require such supporting. 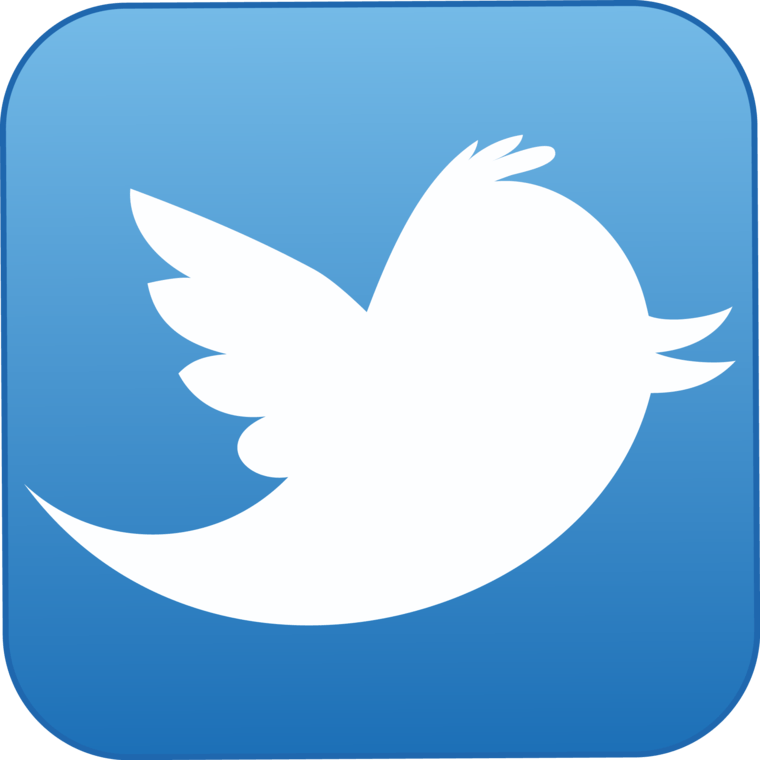 How can a narrative essay be termed as perfection beyond improvement? The reader becomes the character of the story. He is the person who is experiencing what has been narrated in a narrative essay. Not fictitious, but the actual names, time and places are encompassed in a narrative essay – fiction hardly finds any place in a narrative essay. In-depth, real life analysis and observations are included in a perfect essay. This analysis can be related to odour, visuals, taste or mental feelings! The entire story is narrated from the author’s point of view. All the life changing facts are put forth by the author with exact relevance to the current lifestyle are described. All the past events of the author are connected with today’s scenario to give the best output. Can any autobiography be termed as a narrative essay? It is absolutely different from any kind of memoir or an ordinary essay because it records the individual’s entire lifespan. This does not focus on any specific life changing experience and hence does not fall into the category of a Narrative Essay. Do write your life experience that has changed you completely. This will help the readers who are sailing the same boat, which you were sailing earlier. But they will look at you with a high respect when you offer them a solution in their current situation by a way of a Narrative Essay. Writing a simple essay and writing a narrative essay are two different things. More elaborate and based on real life topics narrative essays are usually unique. According to experts writing a narrative essay is an art of storytelling where details and experience contribute the most. While you can write a simple essay on any random topics and google information, a narrative essay can only be told and written through personal experiences and reflects lessons learnt in life and through circumstances. A person explores his/her inner insights and learning while writing it. Narrative essays have been termed as a great chance to understand more about yourself and throw light on how certain situations showed you a new or different path enlightening you in some or other way. While it may sound complicated, it is actually not! This is because you are writing about your experience, feelings and opinions which on one can pen down better than you yourself. So, after knowing what exactly a narrative essay is, the mind will ponder about topics to write about. Picking a topic for narrative essays are easier said than done. They are not simple random topics, they are the topics which can create an impact and spark an interest in the person reading it. Let’s present to you three important aspects of choosing a topic for a narrative essay. Narrative essays have always been about experiences in life, it could be about a failure which taught you an important lesson or it could be about a happy moment in life which showed you a new meaning. Pick a topic you can connect to at personal level and have live it directly or indirectly. The choice of picking a topic for the narrative essay is very vast as it can be based on every human emotion, feelings and connections. It could be related to you or someone close to you or many people. Your narrative essay can be about any situation in normal life and it can be also about anything different and unique that you have experienced. At the end of every story, there is learning, moral or a message. Your narrative essay topic should also be very similar to it. The experiences you have been through definitely taught you a thing or two. They might also have led you to view things and people in a different light. Make sure that the topic you pick speaks the same message or conveys the meaning of your experience to the audience. You can list out all the topics that you have in mind and then choose the one which tells the strongest message or experience you have in mind. Usually, not everything comes in a flow. It’s like pieces of puzzles which fit to show the complete picture. When you pick a topic you will find that there are hundreds of thoughts about it in your mind, but are those thoughts enough to form a story? Go through all the topics again and choose the one in which you can easily create the story by connecting your thoughts and write the narrative essay. Narrative essays are particularly written to tell a story. These kinds of essays are usually experimental, personal and anecdotal. Such stories allow students to write about themselves or things in a creative manner. This article explains how to write the draft of a narrative essay. When selecting a topic to write about, it can either be about yourself or things that you have met or happened in life. So there has to be a story and an analysis of the story told from the point of view that you are the person telling the story. If it is a written story, then your narrative essay has to include all parts of the story including introduction, plot, characters, setting, climax and conclusion. After selecting a topic that will form the narration, think about how you can make a story out of it, as in step 2 below. Since you are going to narrate a specific thing in form of a story, it means that all the details have to be in it. Therefore selecting a vague topic like “my childhood” would not be manageable as there are so many things that happened in your childhood and it may be difficult to narrate them. As well, include a manageable number of characters in the story and only write the most important ones. You may not write about the details of everyone that you are meeting in the story. A good story can be about a holiday trip that you made. After thinking about the kind of a story to write, now draft the outline of the narration. Now that you have the story, it is time to sit down and draft the outline. Drafting down few points regarding where your story starts and ends is particularly important. It is advisable that you put down on paper a few major things that will happen in the story. This makes sure that you reach the climax of your story all the way from the start, middle and end. Be as specific as possible and limit vague details from your story. Trying to remember the most important events in the story and narrating them would be a great way of writing your draft. Because you are the narrator of the story, you have to develop a point of view upon which the story is going to be narrated. You have to use a consistent point of view throughout the story. A great way of writing a narrative essay is doing so in the first person and using statements which have “I” in them. When you are discussing events, you have to be the one giving those details, and thus the use of the first person. Switching perspectives in the story may be a very difficult plot to adopt as it makes the narration of events appear too complicated. As well, these stories have to be in the past tense as you are narrating things that happened in the past. So develop your point of view basing it on the basis of the past. After developing the point of view, it’s now time to this about the factors making the story. When making the draft, try as much as possible and explain who your important characters in the story and give their roles. For example, if it’s about people, you have to narrate what happened to them, what they did and many other things surrounding your characters. Trying to remember as much details as possible about them is very important. Factors can be seen as the main reason the story exists. After finding the main reasons, it is now time to think about the opposing characters. Identifying the protagonist (a person who wants something) and the antagonist (a person who works hard to make sure the protagonist does not get it) is very important as well. Know the goal and build the scenario for them. Also describe the location where the story takes place. It can be in the city, at home or down the river. When describing the location of your story, you have to know as many details as possible about this place. Lastly, remember to be vivid in your story. Remember to use specific details that describe things in your story. These details can't be used to describe anything else in the story. For those who have dedicated themselves to essay writing know how difficult it can sometimes be to choose the correct style of expressing the thoughts. Narrative essay outline should be broken into three parts I.e. Introduction, body, and summary. Introductory part comes with the preliminary information about the topic. The body area of the essay is quite vital. The detailed debate about the topic is highlighted there. After talking about all the ins and outs factors, an ending brief needs to be written. We should maintain the accuracy and objectivity of the topic in our essay. A well-structured put together is a prerequisite for creating a prosperous essay. The primary benefit of having an essay put together is that it offers the writer a respiration space in writing various writing works. In the field of journalism or blogging, writers pass occupied time managing the documents on different topics. Having a proper outline provides a guideline of. That specifies the time portion and resource management too. Again, the author can organise the themes of the essay and stay on track. He/she can highlight the important areas that need to target while writing. The ideology behind this system is to make the essay interesting to the readers. A standard outline offers various advantages benefits to the writer i.e. provides a baseline to review the final condensation, recheck the writing before submission, review the composition and can include any important point if required. A proper format can identify the breaks of the investigation easily. Composing an essay can be a monotonous work. A great appropriate guideline keeps the writer on the collection of creating the complete composition that eventually reflects the thoughts of the author. An outline identifies the basic writing factors of the topic. Publishing an essay outline summarises all the ins and outs aspects of the work. Writers maintain the collection of the focal details in preparing the article. Therefore, the winning article writing requires good planning and presentation of thoughts. In the process of understanding how to write a narrative essay outline, you must the primary scope depends on the type of essay that you are writing. The final structure lies in the final draft, which you can modify in due course. Take care of the introduction and the body of the essay which will highlight the main idea or theme of the essay. The conclusion will just provide the summary of what you have mentioned so far in the essay. The strategy is to make the essay interesting so that the audience can find it intriguing and thought to provoke. As a novice, you will not be able to work on these lines, but as you mature as a writer, it will be more of a practised step to writing an effective essay. No matter how easy or smooth-flowing an essay may seem, it is important to edit it prior to submitting the final draft. Learning how to edit your narrative essay is particularly important because readers expect great quality always. It is often said that great editing skills can actually transform an ordinary narrative essay into a gripping story. We take a look at some tips that can enable one put a fine finish on an otherwise near-perfect draft. Check your essay by reading through it (word-for-word) identifying ways to strengthen character development or plot. In personal narrative essays, some authors tend to forget important details from the draft because their own ideas are already so familiar to them. You want to make sure you have included all the crucial details – this time from a reader’s perspective. If it’s a fictitious narrative, start by checking your plot and once satisfied, focus on character development by expanding their defining traits. The “show, don’t tell” strategy is an important rule to follow in the editing process. Great narratives are ones where excellent imagery is used combined with a description that evokes the reader’s senses. Check to see if your narrative puts the reader right in the middle of the action. Once you are satisfied that the narrative is well written, it is time to shift attention to grammar, typos, punctuations, spellings and so forth. Check your introduction to confirm if you have fully identified the experience you are narrating. Does your opening sentences provide the kind of details that can evoke a reader’s interest in the topic? Also, check to see if your narrative has been arranged sequentially and in chronological order. It is also important to check if you have eliminated any unnecessary or repetitive information. Lastly, take a minute to go through the conclusion to see if you have appropriately explained the significance of the experience shared in the essay. It does not make much sense to create something that is grammatically immaculate, but full of under-developed ideas. One should, therefore, read the story (in between the line) and try to fine-tune the ideas discussed therein. Any ideas that are not fully developed can either be fully discarded or enhanced by developing them further. One of the greatest narrative authors in history, Ernest Hemingway reportedly edited the endings to his popular novel “A Farewell to Arms” 47 times. While your essay may not require that much scrutiny, you will still need to closely read it to ensure the story is mature, complete, fluent and most importantly interesting. In order to achieve that, it is important to take a bit by bit approach to ensure every small component of the greater essay fits perfectly into the plot. Start with a strong and punchy opening sentence that will captivate the audience. Such statement could be a question that sounds impossible or new. A statement like “have you ever fallen off the helicopter without a parachute’? Such statement will definitely get the attention of your readers or listeners. Ordinarily, people falling off the helicopter are supposed to do so with a parachute secured around them. For you to ask such a question it means that either you or someone fell out from a helicopter during an emergency exit. Or you are about to tell them something they have not heard before. Depict a narrative scene that makes the reader or listener feel like he or she is experiencing the same thing. This is what it means to carry your audience along as you narrate your story. Make sure your essay has a purpose. Do not talk pointlessly and aimlessly. If there is a lesson you learned the hard way, bring it into your writing and carry your audience along. It is best to state this purpose in the first paragraph of your essay. Now you know how to write your narrative. It’s time we look into ways you should publish your essay. Writing an essay and keeping it to yourself may not make much impact. When you share it with the world, you allow them to learn from your experience. You may even get paid for it. Start with your school’s magazine. Many schools have their own magazines and welcome articles and essays from students. Getting your article published in your school magazine can pave way for you if you fancy writing in the future. Write to prominent website owners that publish good stories. Write them a proposal that you intend to publish your essay on their website. Many websites will welcome this especially if you have not published that essay anywhere else. Seek publishing companies. This step should be taken only when you are sure you wish to make a living out of writing. In some cases, they publishers may ask that you write more so that they could turn it into a book. They could also offer to add it to other essays from others and turn it into a story. If your essay is quite interesting, the publishing company could take up the cost in publishing it. They could also ask you to pay some money before they can publish your essay. There you have it; Ways to publish your narrative essay. Do not let any essay go to waste. If it’s interesting, work towards getting it published.